Despite visiting Cebu quite often, it was only last month that I got to try the Edge Coaster at the Sky Adventure Experience of Crown Regency Hotel Cebu. We paid Php750 for the buffet dinner and one ride at the Sky Adventure Experience. The buffet had a lot of dishes to choose from which was quite good. For the rest of the rates, visit the Sky Adventure Experience website. 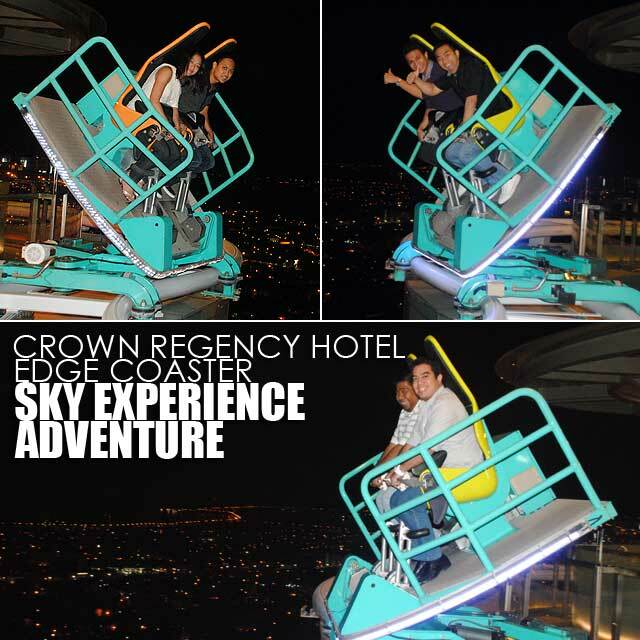 The Edge Coaster goes around the edge of the 38th floor of the Crown Regency Hotel, 130.84 meters above street level. What makes the ride thrilling is that you can let your seat tilt at an angle of up to 55 degrees. A few meters from the start of the ride, it automatically tilts 50 degrees. If that's too much for you, you can choose to lower the angle a bit. Unfortunately, cameras are not allowed. So I couldn't take photos of the view. But they have photographers who will take your photo and you can have copies printed. I was at Crown Regency attending a conference way back September, 2009. I had a complimentary ticket for the edge coaster ride but, though am not a batophobic, fear had really engulfed in me by the time I attempted to take a ride. 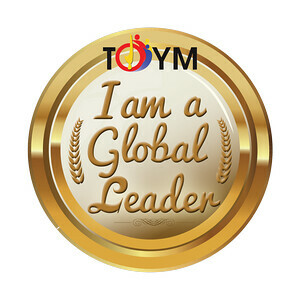 Congratulations, you've done it! during our educational tour, we had a great time there. 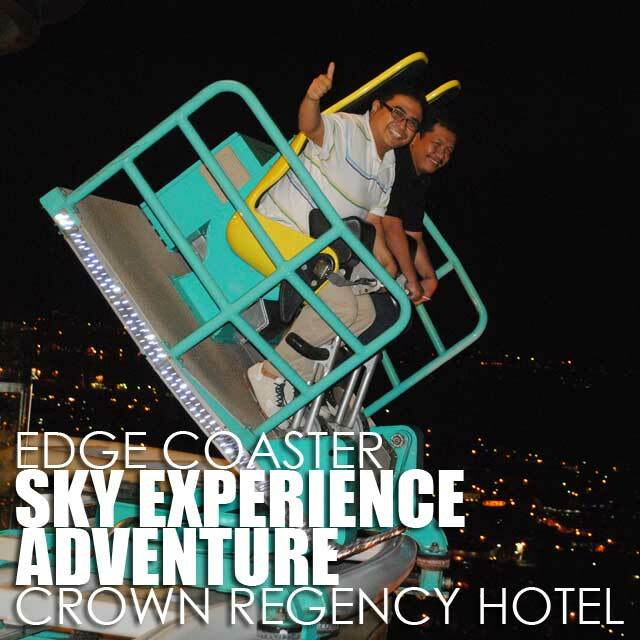 don't miss to ride the edge coaster and experience skywalking.